Whether you enjoy the spectacle of a large symphony orchestra or the classic refinement of a smaller chamber orchestra, you’ll find that live classical music, brought to your neighbourhood at affordable prices, is well worth a try! 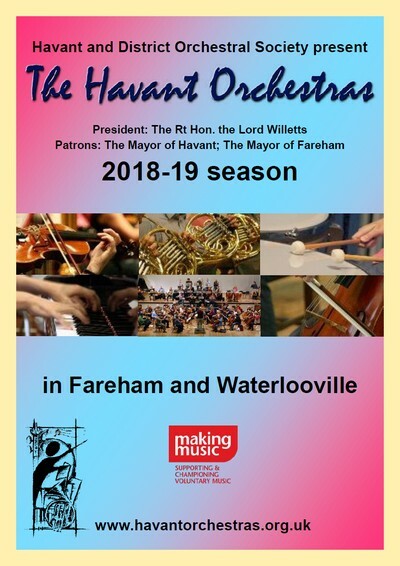 This is the mission of the two Havant Orchestras: to provide an opportunity for local musicians to perform together and to bring live performances to you! Both orchestras have a solid reputation for high quality performances with outstanding soloists, including familiar local musicians, up-and-coming new talent and established international performers. 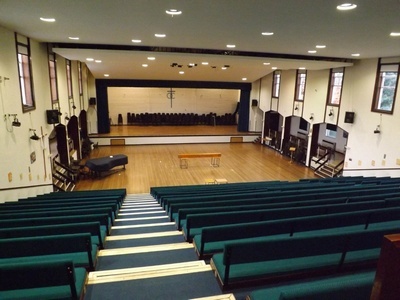 Havant Symphony Orchestra (HSO) concerts are at Oaklands Catholic School in Waterlooville, which is fortunate to have the best hall in the area for large orchestral concerts, with raked seating and excellent acoustics. For 2018-19, HSO are thrilled to be welcoming two outstanding up-and-coming young musicians – pianist Dinara Klinton and horn player Ben Goldscheider. Our final concert will see the return of violinist Joo Yeon Sir who performed with us to great acclaim in 2016. HSO’s Bob Harding Bursary Award scheme enables a talented student conductor to work with the orchestra throughout the season, and each HSO concert normally includes at least one work conducted by the current award holder. For the 2018-19 season, the award holder is Stefano Boccacci. 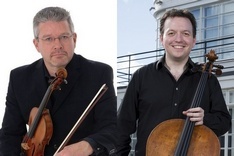 Havant Chamber Orchestra (HCO) concerts continue at premier venue Ferneham Hall in Fareham. HCO are proud to have clarinettist Robert Blanken as one of their players and always enjoy giving him the solo spot! This season we also introduce Liss-based violinist Sara Deborah Timossi, in the ever-popular Lark Ascending , and rising star of the piano, Daniel Lebhardt. Separate season tickets are available for the three concerts at each venue, with a further price reduction when season tickets are purchased for both venues. Single tickets are on sale from September, after the initial season ticket seats have been allocated. In addition to the main program of three concerts by each orchestra, Havant Symphony Orchestra have a pre-season concert of ‘Popular Classics’ at Hayling Island Community Centre on Saturday 22nd September 2018, conducted by our 2017-18 Bob Harding Bursary award holder Richard Miller. There is also a special afternoon concert by the combined Havant Orchestras on Sunday 3rd March 2019, 2.30pm, at Oaklands School, to celebrate our memories of our founder and outstanding musical director for 50 years, Peter Craddock, BEM, who passed away in 2017. For full details of each concert, click on the soloist, or click on the date in the following list or in the link bar above.